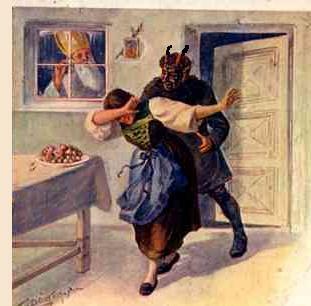 Krampus is basically St. Nick’s enforcer. 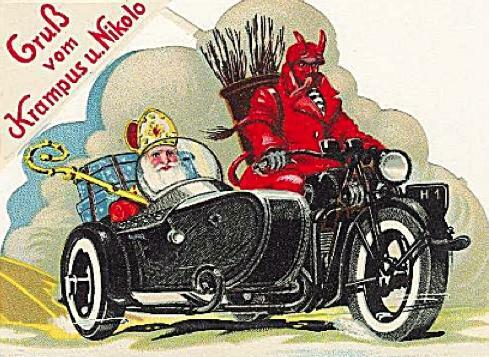 Or, to put it other terms, St. Nick’s promise of toys and treats for good behavior is the carrot, and Krampus’ penchant for kidnapping, enslaving, and ultimately murdering children is the stick. It’s more prominent in the Alpine regions of southern Germany and Austria, but is known across the country. 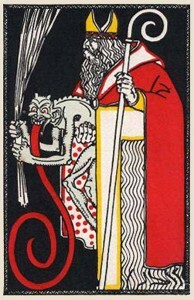 And the Germans have pretty Christmas cards, just like we do in the states, but they also have Krampus cards. He’s got some mean wheels, though. 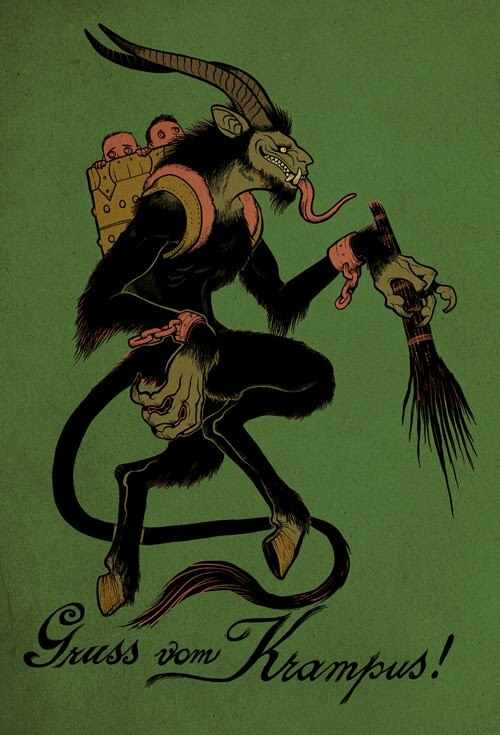 So here’s to Krampus! 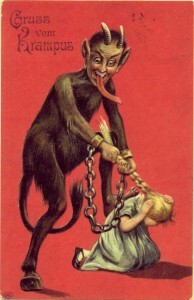 The Grinch that stole Christmas has nothing on Krampus. 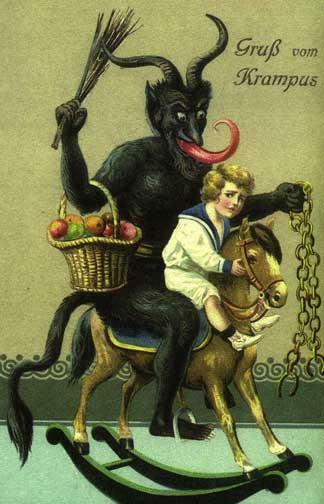 I mean, he just stole presents and the roast beast, but didn’t go for any enslavement or murder. 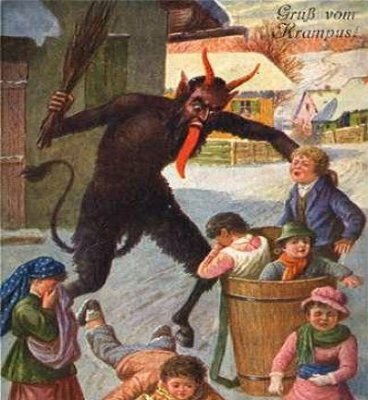 Krampus day is December 5; mark your calendars for next year!